Time is money. We have heard that phrase over and over. But, for professionals, such as HR execs and business owners, this phrase reaches a much more detailed and specific level. There are companies who cater to such needs. They provide software that tracks time time and gives more than just an auxiliary attendance sheet. An employee’s punctuality is important. None the less, organization is a completely integrated system of methods that need to be more than a single dimension think-tank. The good news is that there are software analytics and processes that help diversely in tracking time and details. 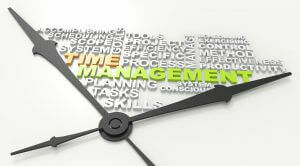 There are many ways to track time and all relevant task details for billing purposes. Solutions vary according to needs and markets that are immensely divers. Due to technological breakthroughs, every solution is customized and no two may be alike. Starting out with paper is a great way to track details for a start. However, there is now software that can speed up the process by using spreadsheets with filters. Usually, trust is not a reliable asset; nor is hope a reliable plan. Using technology to create an environment of accuracy and enhancing authenticates data received has vastly increased. Using timekeeping tools can be instrumental, but not always completely reliable. This software tracks time by start and stop points and is almost completely automated. It records from the moment it is embedded into an iOS or Android phone. Every minute on the device can be tracked. But, the problem is, it’s not accurate enough. Slugging at a task or wasting minutes away cannot be differentiated, as more details are needed. Twitter, for example, can contribute to promoting a blog or post or may be just wasting time. There’s no way to record that with single standing apps such as RescueTime or Chrometa. For advanced features that are often required by project management professionals, there are apps and other essential software that can help with seamlessly tracking time on each task, especially client billing. It can be a great way to get precise and exact details of hours spent that is straightforward and simple to ascertain. If working in a team, many factors of the apps are beneficial as coordination is improved and there is a more focused and productive use of time. One of the main contributors to the expansion and development of any business is happy and satisfied clientele. Culprits that can hurt the business are overstaffing, rent, ineffective work methods or flows, non-quantification of marketing efforts, and late payments from clients. Other things may be services the business doesn’t need but still has. To track time, it is imperative to use smart and goal oriented methods that don’t burden the business. As it is commonly known, human beings have no receptors for time perception and rely on signs or tools. Tasks and assignments under key tracking systems are much more productive and efficient which leads to the overall general uprising of a business. The best methods, including timely notification and alerts, prompt staff to execute or expedite orders that help process billing. It is extremely important for the business to thrive. The biggest failure that weakens a business is failure to track time and losing billing information.